The best laid plans…you know the rest… A few of us are exactly where we envisioned twenty years or so ago when we broke into the workforce; a healthy family, a perfect house in a safe neighborhood with great schools, financial security in hand and retirement beckoning. The majority? Not so much. Many life changes are simply impossible to fully prepare for, calling for important financial decisions to be made thoughtfully and quickly. While you may not know when your life will be affected by dramatic change, you can have a team in place that will serve as your financial advocates when it does. Life-changing events are outside of your normal experience. It makes sense to rely on advisors who have helped people in similar circumstances. Whether you are visited by financial hardship through a life-changing event or are the unexpected beneficiary of financial assets, the Fee-Only advisors of Rollins Financial can help talk you through all of the implications of the events and your financial options moving forward. Facing questions about caring for your elderly parents? This is financial and logistical challenge that many working people have to navigate. We can help. Divorce can be an emotional and financial challenge. Often times, one spouse has managed the majority of the daily and long-term financial obligations, while the other is less familiar with those responsibilities. Separating marital assets is a financially complex task, often made more difficult by feelings of betrayal and disappointment. The difficulties and emotional impact involved are increased when there are children involved. The death of a loved one necessitates the transfer of significant assets while the surviving family is still grieving and learning to carry on without their family member. Advance estate planning can greatly ease the process. 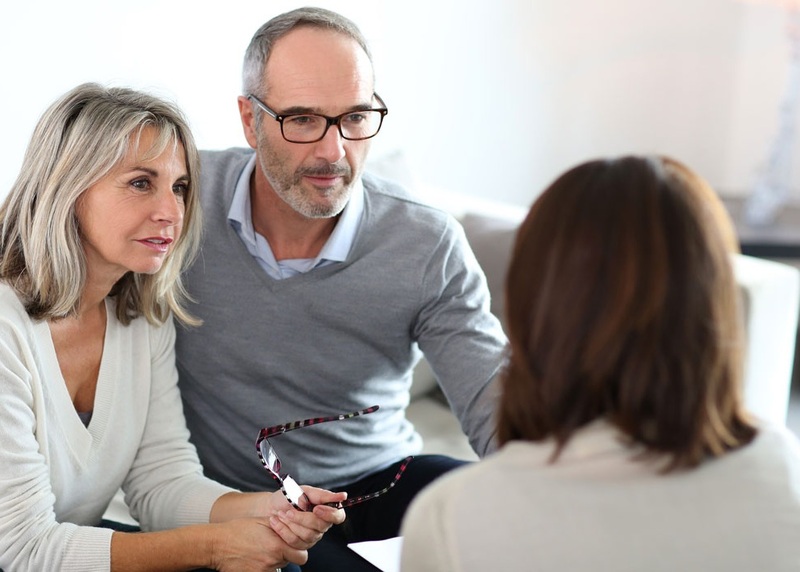 The advisors at Rollins Financial can facilitate introductions to skilled estate attorneys and help you think through the implications of your changed financial situation. Transitioning your parents into an environment where they can be properly cared for in old age is a financial and logistical challenge that many working people have to navigate. Many elderly people resist this transition, and elder care for your parents can be financially overwhelming to you if not properly planned for. Employment transitions can be every bit as stressful as other big changes in your life, and necessitate thoughtful financial and retirement planning choices. A typical worker will change jobs a dozen or more times during their working life. This holds true for women, too, even though they’re more likely to sacrifice their own career-advancement for their families than are men at various times in their working careers. The modern workplace evolves rapidly. Modern employers are less loyal to their workers, and much less likely to offer pension plans with guaranteed retirement benefits. Employees, too, are faced with new incentives to change jobs. Just like executives, workers need to read the tea leaves and make proactive career changes to stay ahead of industry realignments. The raise offered by a job change often dwarfs cost-of-living adjustments. Women, especially, can be disadvantaged by staying too long in their positions. Women’s compensation significantly lags pay for men in similar jobs, and women are also more likely to sacrifice their own career advancement for their families. Rollins Financial can ease the disruption of transitional life events. We are Fee-Only financial advisors – fiduciaries committed to always pursuing clients’ financial best-interests. We have decades of experience providing peace of mind through financial, retirement, and estate planning. No matter what challenges life brings you, we can help. Q: How can I financially prepare to care for my elderly parents? A: Many elderly people resist this transition, and elder care for your parents can be financially overwhelming to you if not properly planned for. We have a team in place to serve as your financial advocates when life-changing events impact your financial decision making, as it inevitably will. It makes sense to rely on advisors who have helped people in similar circumstances. Q: I am newly single and overwhelmed with the management of daily and long-term financial choices and obligations. Where do I begin? A: Rollins Financial can ease the disruption of transitional life events. We are Fee-Only financial advisors – fiduciaries committed to always pursuing clients’ financial best-interests. We have decades of experience providing peace of mind through financial, retirement, and estate planning. No matter what challenges life brings you, we can help.